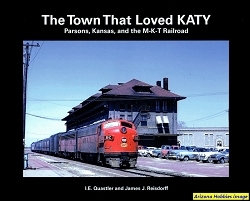 This book is a Railfan's adventure documenting the Missouri-Kansas-Texas railroad in the Show-Me State, Missouri. There are photographs of the main line and branches. 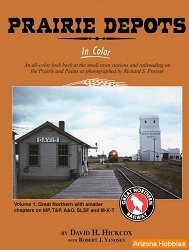 A few historical photographs are in B&W, but 98 percent of the photographs are in Color. 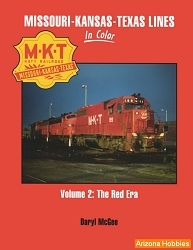 The green and yellow paint era dominates, but there are enough of the Deramus Red era locomotive paint photographs to see the contrast in the two images. Extensive, knowledgeable captions inform the reader of the scenes shown. Some nice depot photographs add to the interest. The book is well done with good color reproduction. If you have an interest in the less-documented route of the Katy to St. Louis, you will appreciate this work. 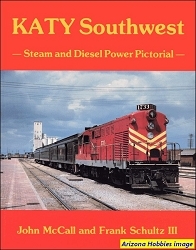 Main Track Media, hardcover, 176 pages, 8.5 x 11 x .5 in., Color and B&W photographs, some timetable information, route and division maps.